So, you’ve got your restaurant website up and running now, and you’re feeling pretty good about it. It’s sleek and attractive and seems to be driving a lot of online traffic towards your restaurant. Even better, the website is functional and gives customers real information like your menu, current specials, and other things people will want to know. All these things are good, and you have a right to be pleased with this progress. Because of this success, though, you might think that you’ve done enough and you can stop. However, now is not the time to rest! An online presence is a good start, but it’s just that — a start. Here are just a couple of ideas about what to do next. 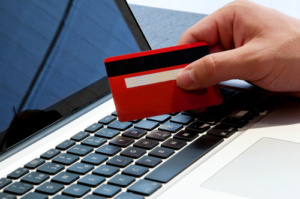 Your website is great, but to make it fully functional your next step should include online ordering and paying. Many people these days appreciate the simple convenience afforded to them by being able to order — and pay — from the comfort of their own home. If your restaurant has a delivery service, any customers will be happy with the idea of ordering food, paying for it, and eating it without ever having to leave their home! However, even this step up in online service isn’t enough now. It’s hard to believe, but technology moves so fast these days that your sleek, fancy, and functional website is already close to becoming yesterday’s news. Maybe you went a step farther, and think you’ve kept ahead of the curve because you set up a mobile version of your website as well. This is good, but still not enough. Unfortunately, many of today’s consumers have already ditched the web in favor of more mobile applications, and if you’re looking to keep people coming to your restaurant in the future, it’s time to start figuring out how mobile technology can work for you. A mobile-configured website and online ordering options are great for getting new people through your door, but many returning customers simply don’t want to deal with the hassle of online web browsing. To fight this browsing fatigue, many restaurants have created their own mobile app. It’s not difficult to do, and it can help connect to your customers in ways you never even dreamed of before. For starters, basic restaurant information like menu, pricing, and hours are a must. However, the whole point of an app is to develop relationships with your customers so they’ll keep coming back. 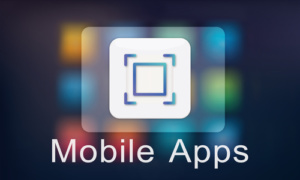 This means your mobile app should offer more. What sorts of things should you consider? First, things like a customer loyalty program, where customers can scan receipts to earn points, or get electronic “stamps” for their visits, are a good way to get people to want to come back to your restaurant time and time again. Another thing to consider is drawing your customers in by offering special mobile-only menu items and specials. Not only will these special offers provide customers with an incentive to download the app, it will also give them the feeling that they have a unique relationship with the restaurant, that it’s somehow “their” place. A third option to consider on your mobile app is the more “human” connection that comes with a social presence. Things like Facebook, Instagram, Youtube, and Twitter can give your business a face for people to connect with, as well as giving them extra tidbits about the people that work there and the behind-the-scenes events that go on. A fourth option is entertainment. Some restaurants feature games, artwork, and crazy videos that are just fun, and will make your customers want to get on your app even when they aren’t eating at your restaurant! Without a doubt, though, the most convenient and important feature you could add to your mobile app would be the ability for customers to order food and pay for it from their phones. In today’s crazy world, people are often in a hurry. Why should this rush mean they still can’t enjoy their favorite meal? By having an online ordering option, they can order ahead and have it ready to pick up when they arrive. Giving them the option of paying with the mobile app only speeds up this process even more, so on those days when time is short they can still grab a meal without having to worry about being late to their next appointment. As you can see, the website is great, but it’s only the beginning. 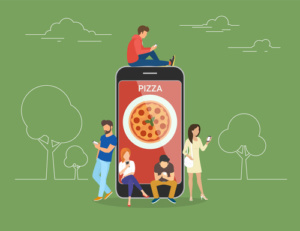 If you’re not considering mobile apps and the options that can come with it, your restaurant is already in danger of becoming yesterday’s news. If you don’t want that to happen, then it’s time to take action. Not sure where to begin or what to do? Please don’t hesitate to contact us today. We can help with all your online and mobile needs to give your restaurant a strong presence in today’s market.